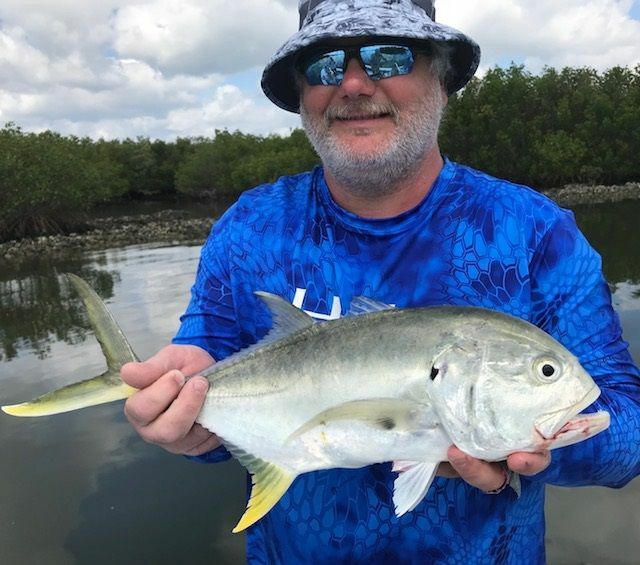 Summer is knocking at the door here on the North Indian River and Mosquito Lagoon Florida, water temps approaching 80’F, mullet and baitfish schools here for the summer, big variety of different saltwater fish species to be caught here in the backwaters. 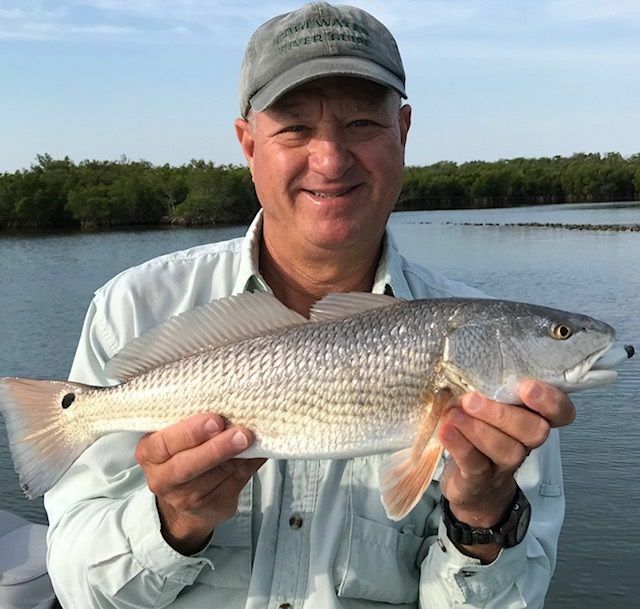 Through the summer we will be catching Seatrout, Redfish, Snook, Mangrove Snapper, Black Drum, Jack Crevalle, Ladyfish and always other surprise fish too. 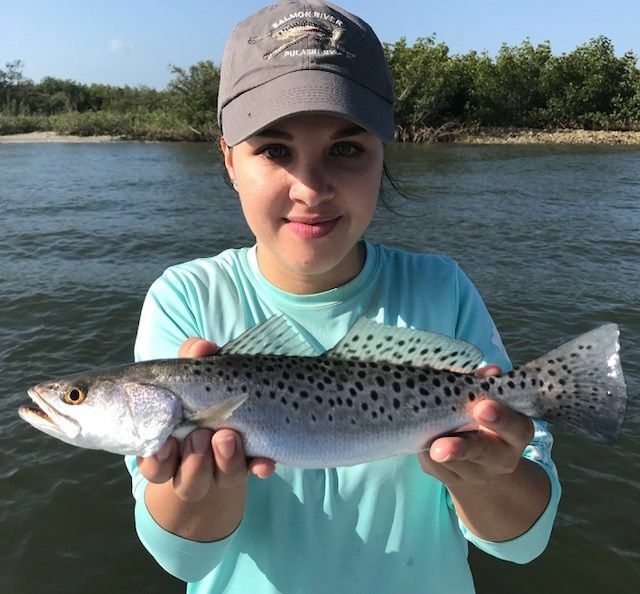 Summer patterns can be mostly scattered fish in the warm water with fish in ambush point locations, creek mouths and points with a good tidal current flow, and shadowing baitfish schools, and bait and crabs riding the tide along moving water channels. 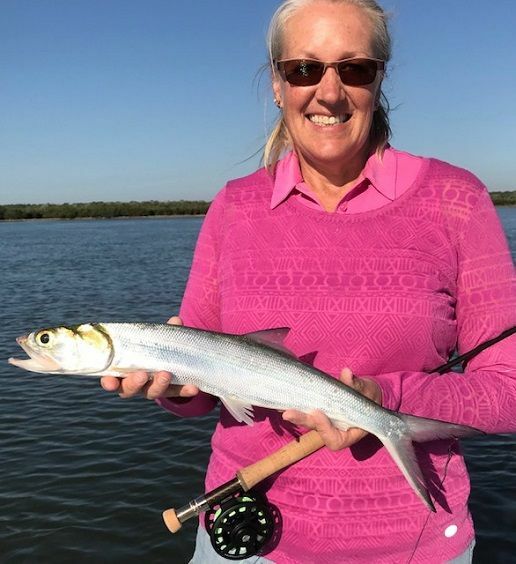 Fun surface striking fish are great for summer sight fishing activity, with open water fish like Jack Crevalle, Ladyfish and even Tarpon, but Trout and Redfish will also come to the top. 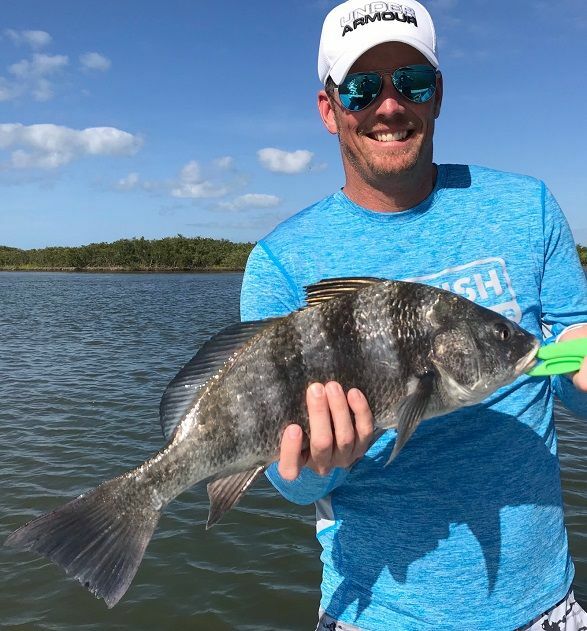 Summer baits include live shrimp, pigfish, pinfish, and finger mullet, for artificials , early morning top waters, 3” shad tail jigs and twitch baits. Morning trips are the summer norm, early feeding fish and a little cooler than the heat of mid day. 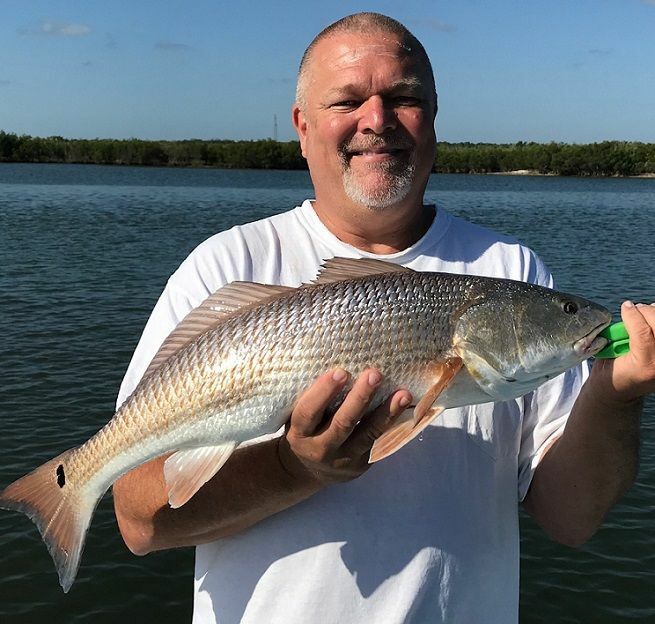 Ed from Astor, Florida out with a couple friends on a recent backcountry trip caught all the usual different species as well as this over slot 28” Redfish on a live shrimp and light tackle…………….. 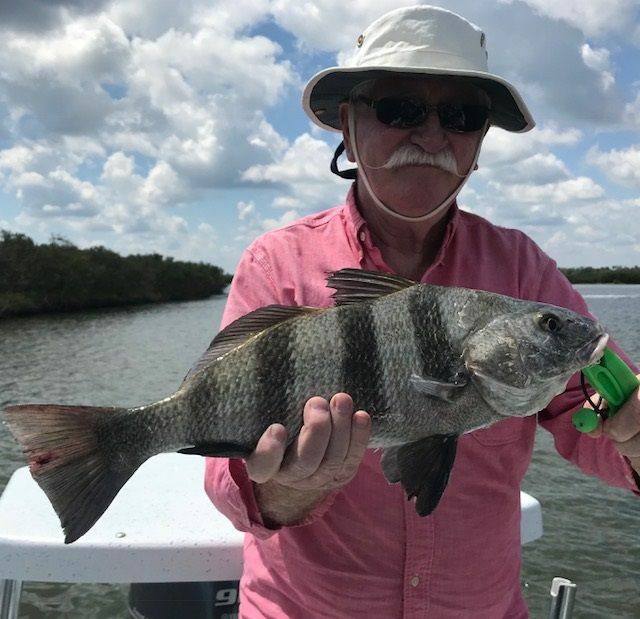 This year has been good here for Black Drum, catching good numbers during winter and spring, along the bottom on channel edges and back country holes, they mainly eat shrimp and crabs, Dan from Lakeland Florida caught a nice one………..
On a fun trip with first time solo client Thomas from Texas we caught Snook, Reds, Jacks and more, Tom snapped a pic of me with a Red I caught on a 3” white shad tail jig off the edge of a flooded oyster bar………………..